An easy to follow tutorial that that reveals true magic that lies within Adobe's Photoshop. 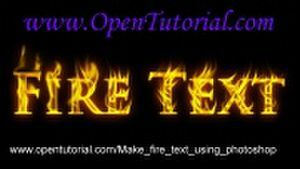 You'll be amazed how easy it is to follow along and create very realistic fire. Select the default foreground and background colors by pressing the "D" key. This page was last edited on 2 January 2012, at 02:40.